Grade 1 Hopeful Stakes winner Competitive Edge sired his first juvenile winner on April 11 when the Mark Casse-trained Reiterate, bred by John B. Penn, scored on debut in a 4 1/2-furlong maiden special weight at Gulfstream Park. Gabe Grossberg owns the Florida-bred filly. Competitive Edge's only other starter to date was Competitive Queen who ran a half-length second in a 4 1/2-furlong maiden special weight at Keeneland on Monday. The following day at the Keeneland April preview, Kirkwood Stables' Competitive Edge filly out of Lefreakcestchic recorded the quarter-mile bullet of :21 1/5 seconds before selling for $235,000 on Tuesday to Shepherd Equine Advisors, Agent for Larry Hirsch. 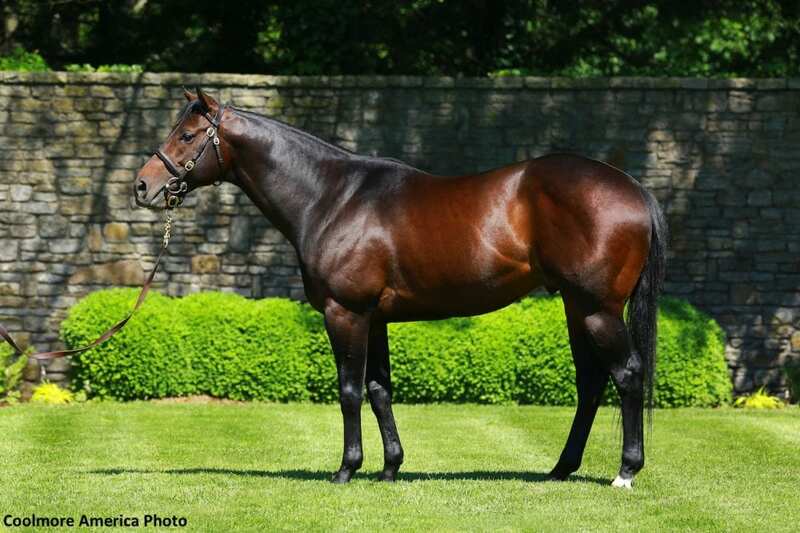 Competitive Edge stands at Coolmore's Ashford Stud for an advertised fee of $5,000. This entry was posted in Bloodstock and tagged ashford stud, competitive edge, Competitive Queen, coolmore, first winners, Gabe Grossberg, Horse Racing, John B. Penn, Mark Casse, nick tomlinson, Reiterate, Stallions by Edited Press Release. Bookmark the permalink.